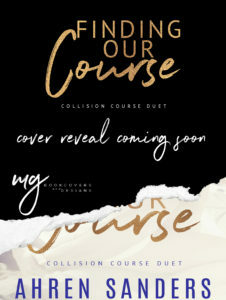 Collision Course Duet is coming! For the last few months I’ve been working behind the scenes on a special project for you! My New Adult Romance series, Finding our Way & Staying on Course has gotten a facelift! The Collision Course Duet will be coming your way very soon! Stay tuned for more information.